Last night right before I fell asleep I was watching the movie Jumping the Broom. I am going to attribute much of the cause for what happened next to this fact. I dreamed about my wedding. Now...anyone who knew me in high school knew that I had my wedding planned down to the nth detail and all I was waiting for was the groom. Anyone who knew me in the last five years knows that I'd scrapped that idea and wanted to elope but just have a reception. Documented fact in case anyone doubts me. Anyway when Deeds and I discussed marriage I told him I'd be down for an October wedding but wanted a December reception back home (in Atlanta) as I figured it would be easier seeing as how that's where the hub of family is located. Well last night I had a Christmas wedding. Quite honestly I don't want to blog the details because at the end of the day I think this wedding sounds absolutely amazing and if I err when I get married one day, I want to create the vision I have in my head. 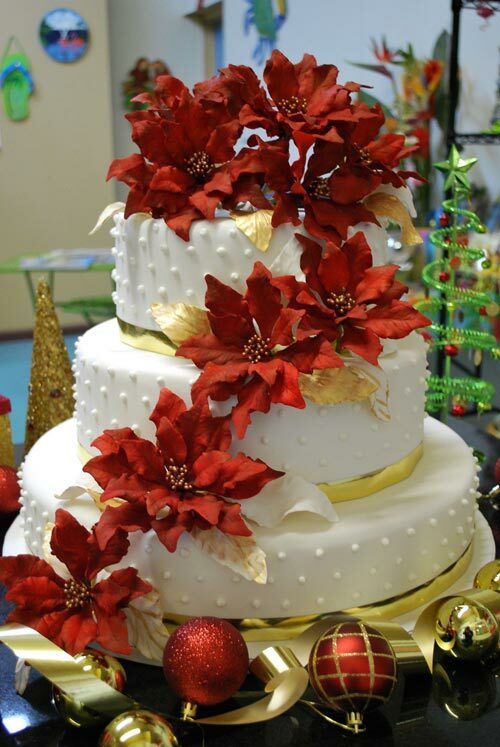 Some people are like "OMG but a Christmas themed wedding? Why?" Well quite simply, I love Christmas. Also a documented fact (case and point). Anyway, so I love the decor. I love poinsettias and holly, cranberries and the smell of trees (I even had a "Tree" scented candle last year) Christmas is my thing. I kind of go all out for it. Even though I lived alone last year I still decorated and had gifts underneath the tree. It's just what's right. So it only feels right to have my special day slated for my favorite time of year. What was weird was, I remembered the date was 12/21/13 and when I woke up I looked at the calendar and it really does fall on a saturday. Crazy right?!? The things that I know that won't give away my magical dream wedding are: the date was 12/21/13, for cocktail hour we served spiked hot chocolate, egg nog, and cognac apple cider (I was thinking err after I woke up that a good idea to add would be something with peppermint too? ), and there was a huge Christmas tree in the reception hall. Oh and I remember my bridesmaids were only two, Ken and his sister. My mom asked me if I got a glimpse of who I was marrying but I didn't. Bummer...but at least I know he has a sister? Additionally, the wedding was in a church. Now I really was surprised by that, but it was so beautiful and perfect for the way the ceremony unfolded that now I absolutely have to do it. It was one of those dreams where you think, no one could have planned this more perfectly than I could have, so now I have to make it happen.